While part of me is gravitating toward all things pumpkin these days, the more rational part (the part that actually goes outside in the 89% humidity) realizes that summer is still going strong, and the pumpkin extravaganza can wait. No worries, friends, pumpkin recipes are coming. But for now, I still have peaches to eat. Here in North Carolina, we will have peaches and blueberries for just a precious few weeks more and then apples and pumpkins will rein again. So, I’m loading up on peaches–freezing them, making peach jam, baking peach cobbler and trying new recipes like these delicious peach and berry bars. 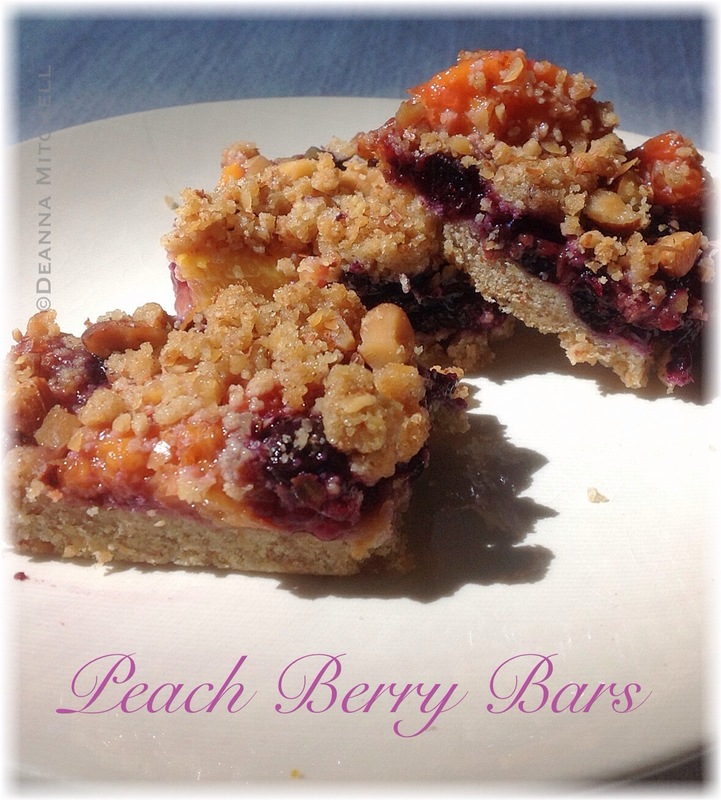 These bars have an almond crust and topping, with thick, sweet peaches and blueberries in between. Summer deliciousness! You could substitute apricots, raspberries or whatever is fresh at your farmers markets. I may try this again with a thin layer of lemon curd over the crust to give some zing to the sweetness. They are great for picnics and late summer tailgating, so try them before the Polar Vortex returns and peaches are just a lovely memory of summer. This recipe is based on one from Eating Well. I’ve changed up a few things to cut down on the sugar, but if you want the original recipe, you can find it HERE. Prepare the crust by combining 3/4 cups of the chopped almonds, flour, coconut sugar, salt and cinnamon in a food processor. Combine well. Add butter and pulse just until butter is incorporated (about 5-10 seconds). Combine oil, vanilla and almond extract in a bowl. With the food processor running on low, add the oil mixture and the egg. Blend until moist and crumbly. Reserve 1/2 cup of the crust to serve as the topping. 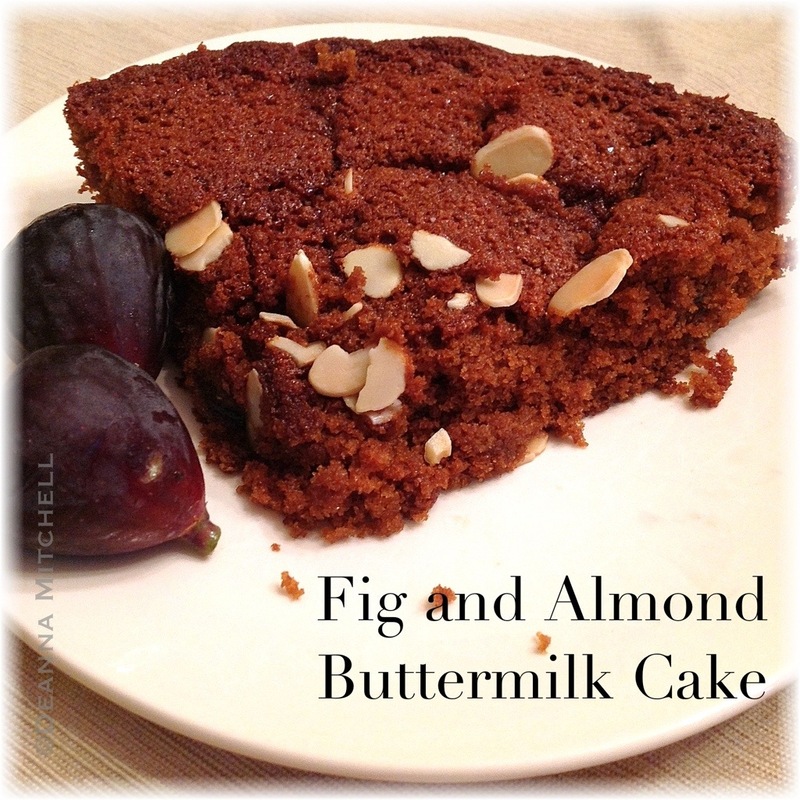 Combine the reserved topping with the remaining chopped almonds and set aside. Coat a 9 x 13 pan lightly with coconut oil. Press the crust mixture evenly onto the bottom of the greased pan and set aside. In a saucepan, combine the fruit and orange juice and cook over medium heat for 5-6 minutes. Fruit should start to thicken. Add the tapioca and vanilla, stir well, and cook for another 4-5 minutes. Fruit should be very thick at this point. Pour the fruit mixture over the crust in the pan and spread evenly. Top the fruit with dollops of the reserved topping, pressing the topping into the fruit a bit. Bake for 15 minutes. Lower the oven temperature to 350 degrees and cook for 20 minutes more. Let bars cool for about 15 minutes. Put cooled bars in the refrigerator for about 30 minutes more to cool. Cut cooled bars and store in the refrigerator in an airtight container for 3-5 days. When I was very little, my grandmother would make me maple candy when it snowed (we lived in Maine, so this was fairly often). She would boil maple syrup and pour it over a bowl of fresh, clean snow. The maple syrup would crack and harden, making a candy that we could eat immediately and pour in all kinds of fun designs. Now I live in North Carolina, where Snow Cream is queen of the snow day. 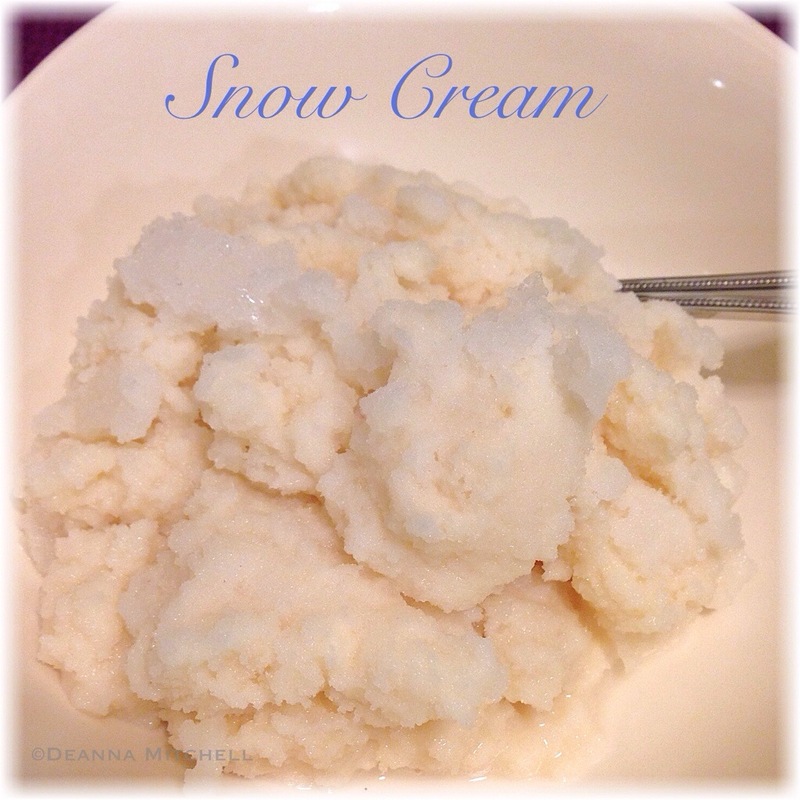 Snow cream is a wonderful, homemade ice cream using snow, evaporated milk, vanilla and sugar. Sadly, I’ve actually lived here for 15 years and never once made snow cream until this week. It seemed like a perfect dessert for a week of missed school and icy weather. Our deck held an ample supply of fresh, unadulterated snow, so we gave it a try and a big thumbs up. The only change I made is to the milk. Our little can of evaporated milk didn’t do the trick for our monster bowl of snow, so we substituted some organic vanilla flavored almond milk, and that was perfect! This is a great dessert that even small children can help make. All it involves is collecting fresh snow, pouring the ingredients and stirring. Voila! Many of us are still dealing with the after effects of the Polar Vortex. 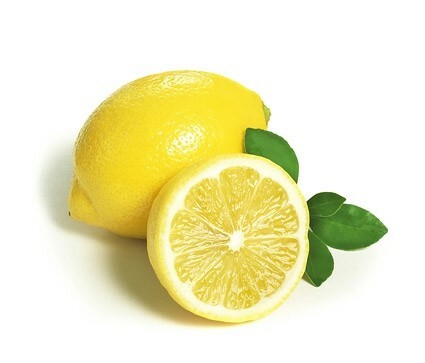 Snow cream may be a nice, winter way to make lemonade (or ice cream) out of lemons (snow). You can’t get more local than locally harvested snow! A note about snow: If you ski or snowboard, you know that all snow is not the same. If you have a very wet snow, you may not need as much milk. A dry, powdery snow will require more liquid. Collect the fresh snow in a large bowl. If you aren’t making your snow cream right away, park the bowl in your freezer until you are ready. Add the milk, extract and sugar to your bowl of snow. Fold the ingredients together. Taste and add more milk or vanilla if you like (this is more art than science). Continue stirring and adjusting ingredients until you have the perfect texture. If you accidentally add too much milk, just go get more snow! I have to confess that I ate quite a lot over the Thanksgiving holiday. Lots of turkey and ham, of course, but also more refined sugar than I’ve had in a while. Sugar, I have found, takes no time at all to make me feel bloated and irritable. The longer I eat cleaner foods, the bigger the impact sugar has on me, and it is not good. 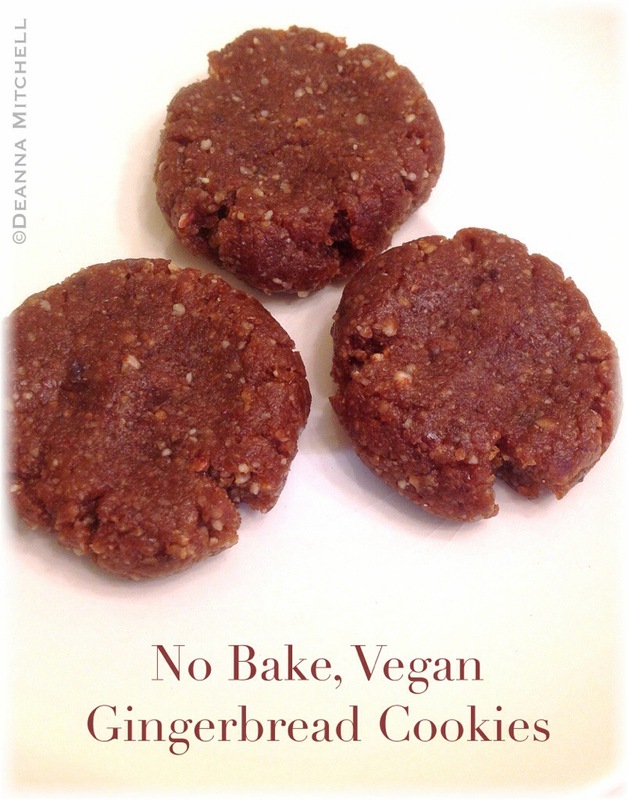 So in the midst of the holiday food extravaganza, I was very happy to find and try these no bake, gluten free gingerbread cookies from blogger My Whole Food Life! If you haven’t checked out her blog, you might want to mosey over there. 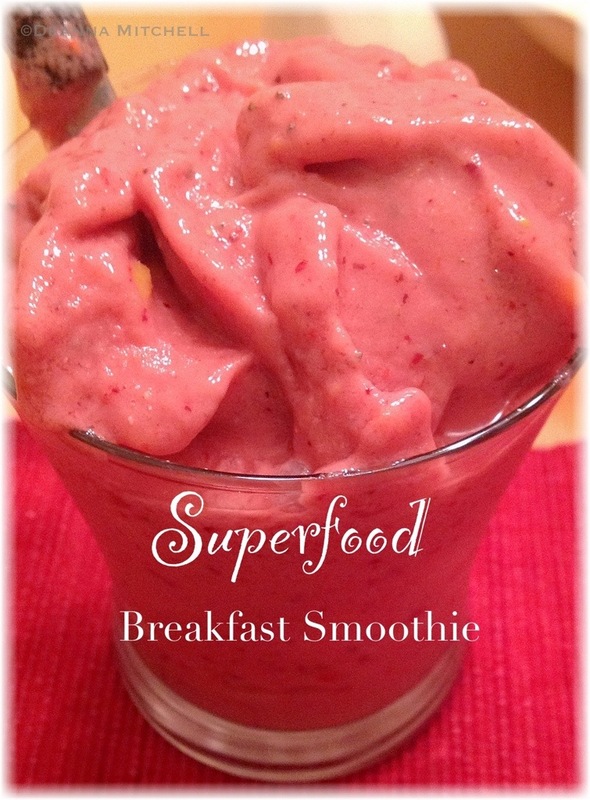 She has a wonderful array of lovely–and healthy–snacks, desserts, and entrees. 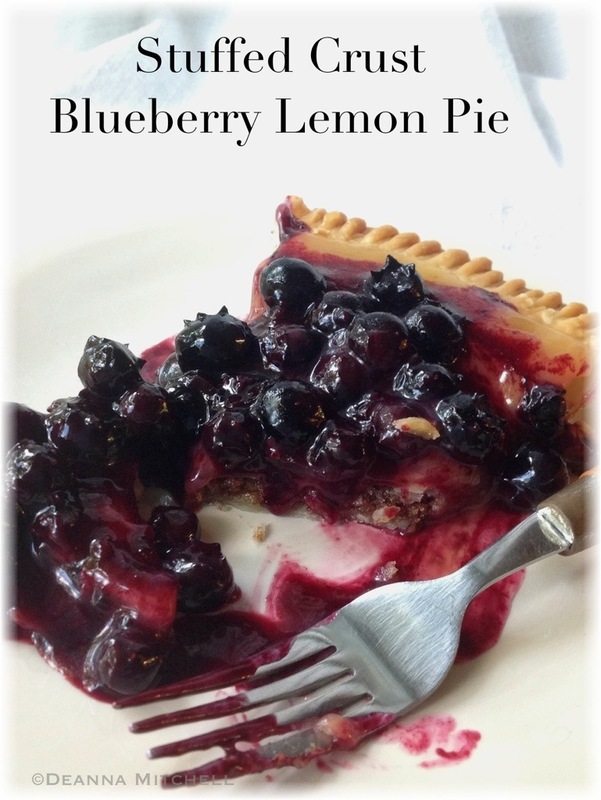 I made her recipe with just a couple of tweaks for my flavor preferences. I like gingerbread to be heavy on the ginger and molasses, so my version reflects that. 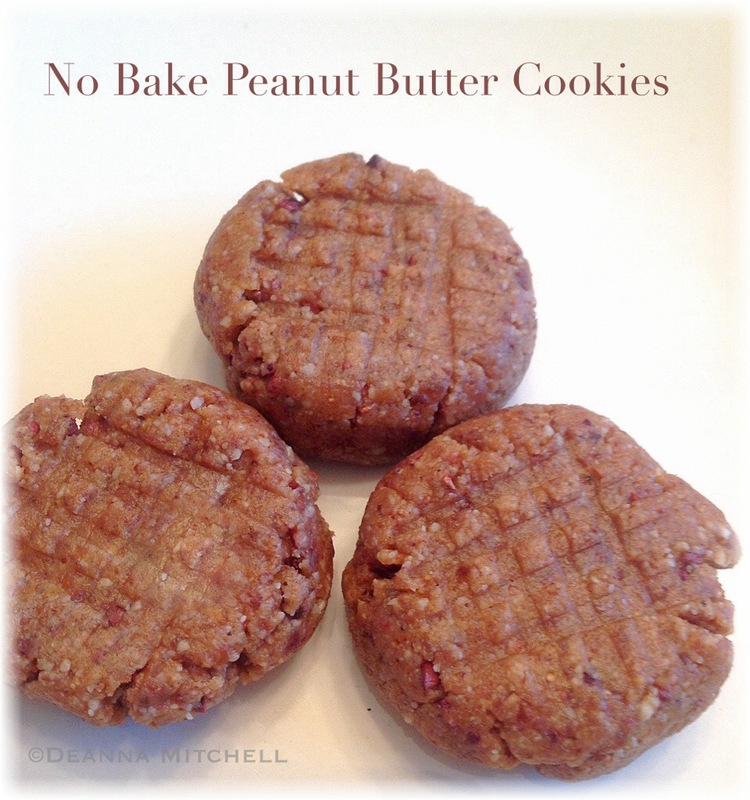 HERE is her original recipe, which would be perfect if you want a more delicately flavored cookie, and especially if you are making these for children, who might not want the fresh ginger kick. I took a couple of these cookies with me to fuel up for our 11 mile training run this weekend and appreciated them so much! Put the pecans in your food processor and chop until fine. Add all other ingredients and process until mixture is a thick dough. It will be quite moist. Roll into 2″ balls, put dough balls onto a parchment lined baking sheet and flatten each ball slightly with the bottom of a glass. Chill cookies in the refrigerator for at least an hour. These muffins are more like dessert than breakfast, but they are still healthier than any baked good at a coffeehouse. Light, fluffy and spicy, they are a wonderful, early fall treat and a great break from pumpkin muffins. 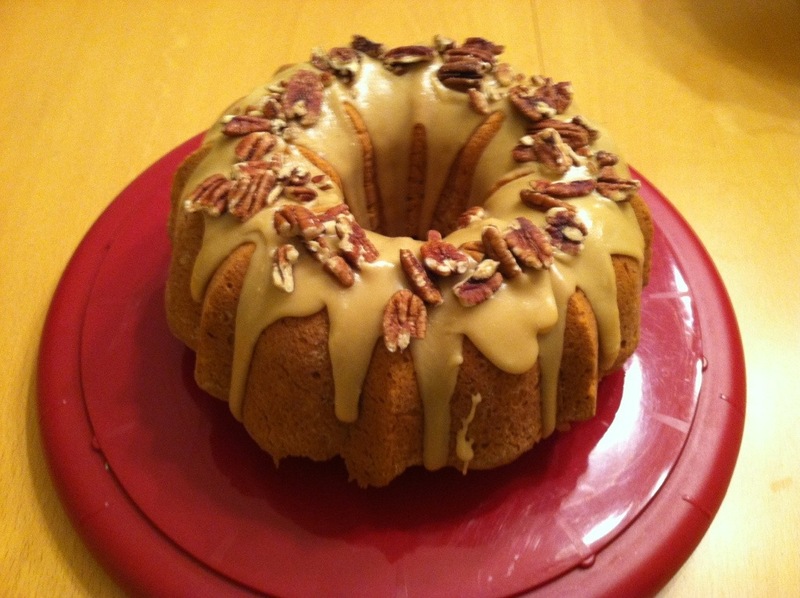 This recipe is an adaptation of a recipe from Williams Sonoma, using some coconut sugar and chopped pecans. Enjoy! Put chopped pecans in a shallow pan and toast in the oven for 5 minutes. Set aside to cool. 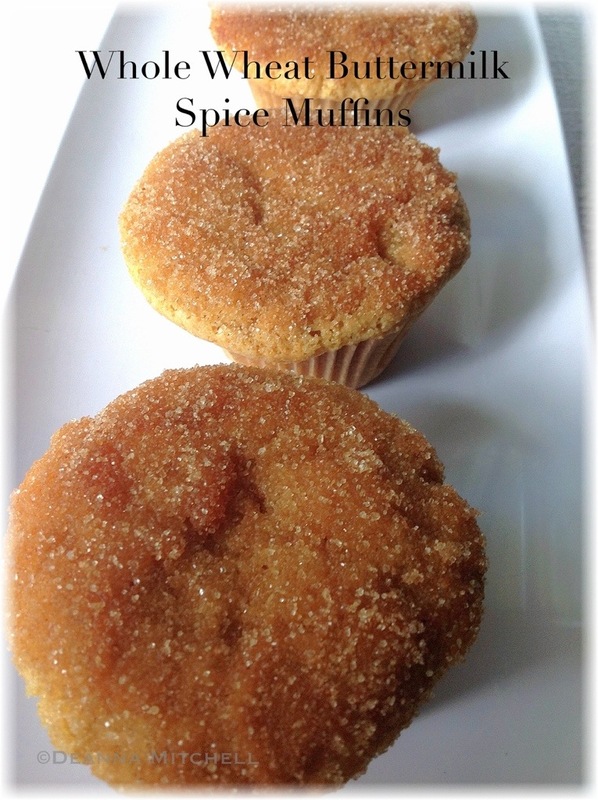 Butter 9 muffin cups of a muffin tin or use unbleached paper liners. Fill remaining cups with water. Using a standing mixer or hand beaters, beat butter and coconut sugar for 4-5 minutes or until light and fluffy. Add the egg and beat until combined. In a separate bowl, combine flour, baking powder, baking soda, salt and nutmeg. Stir well. Add flour to butter mixture alternately with the buttermilk. Stir in vanilla and chopped pecans. Fill muffin cups 3/4 full. Bake 20-25 minutes or until a toothpick inserted comes out clean. Let muffins cool 5 minutes, then remove muffins to a cooling rack and let cool another 10 minutes. Mix cinnamon and sugar in a wide bowl. Put melted butter in a separate bowl. One at a time, pick up muffins by the bottom, turn them upside down and dip the tops in the melted butter, then very quickly roll the tops in the cinnamon sugar. Put each muffin back to the rack and repeat with remaining muffins.